Most people would not voluntarily live in the middle of a remote lava field. 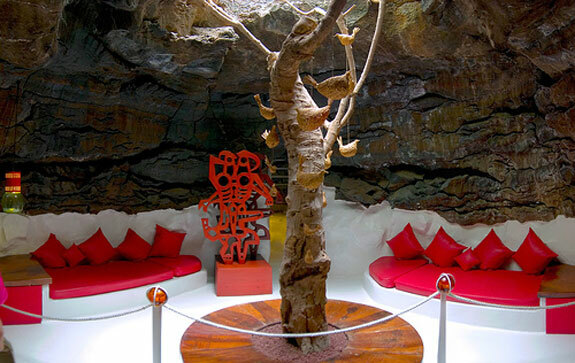 Artist César Manrique decided to build his dream house there. 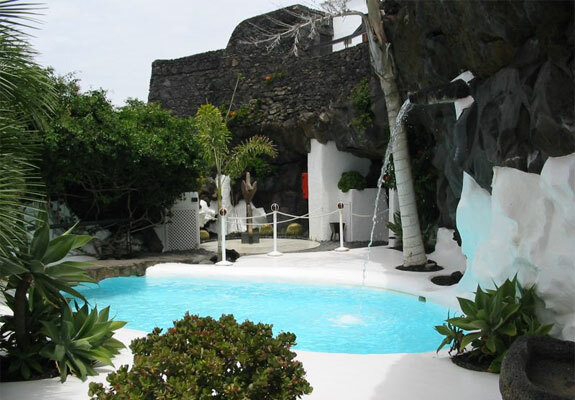 Manrique’s home is on the tiny island of Lanzarote, one of the Spanish Canary Islands off the coast of northwestern Africa. That’s where the world’s longest volcanic eruption took place. For six years, starting in 1730, lava spewed forth from a series of volcanoes there. The molten rock submerged a quarter of the island. 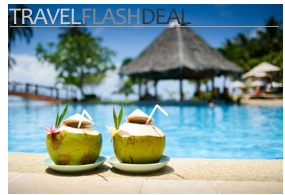 At the time this cataclysmic event forced many islanders to flee for new lives abroad. Eventually Lanzarote´s volcanic landscape became one of the island’s major assets. 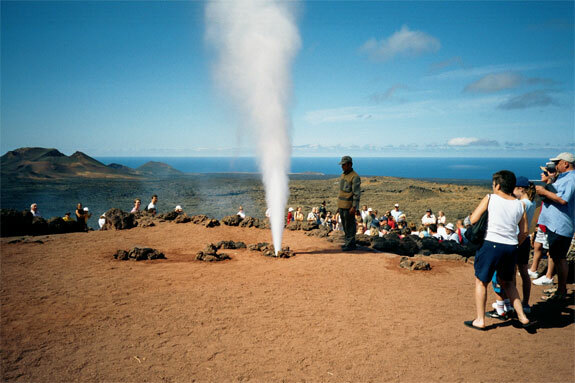 Travelers began to flock here to see the island’s eerie landscapes and spent volcanoes. Tourism set the island on a path to be submerged again—this time beneath a sea of high-rise hotels. 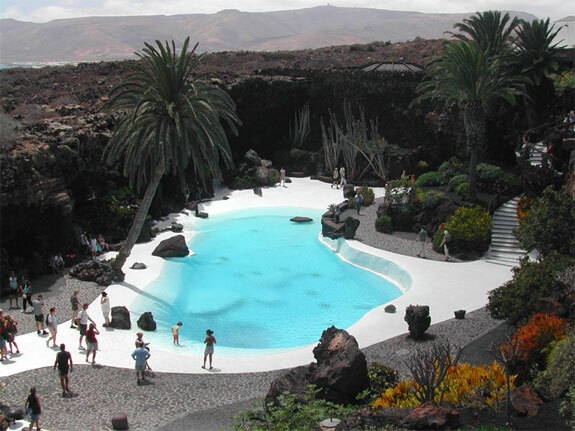 And Lanzarote would have gotten to that point, overrun by package tourists, if it weren’t for César Manrique. 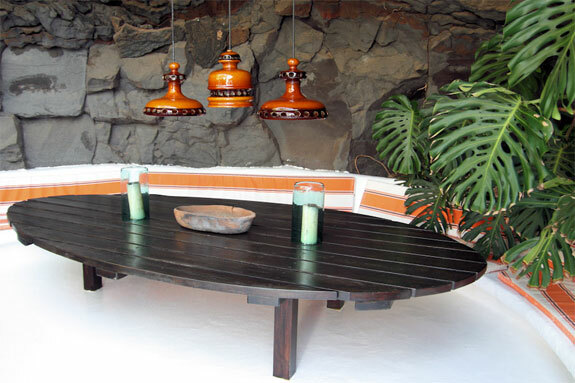 Manrique became enamored with Lanzarote’s beautiful landscape as a child during the 1920s. He incorporated its stark colors and textures into his work as an artist. When he saw his beloved island’s nature threatened, Manrique advocated regulations that forbid any structure on the island taller than a palm tree. He also sought to show the islanders a more ecologically friendly way to live when he built his own house in 1968. 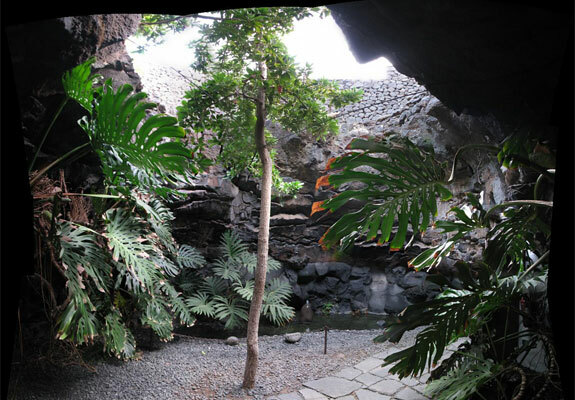 Visitors enter his home through double doors which open directly onto a small courtyard, where the top of a palm tree can be seen poking out of one of the volcanic bubbles below. Before descending a volcanic stone staircase into the five volcanic chambers. Each of these living spaces has an individual character. 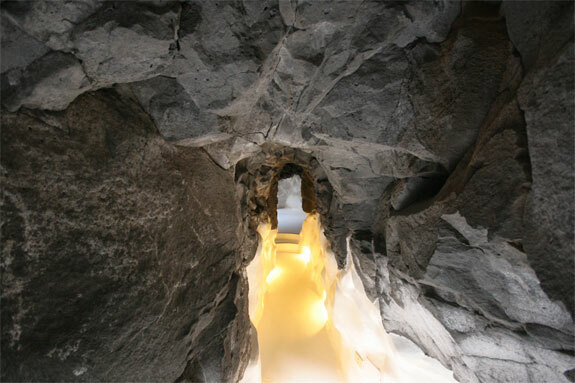 The White Room for example pays homage to the work of fellow artists such as Goergia O´Keeffe and Barbara Hepworth. Whilst the Red Room features Manrique’s life sized wooden sculpture Man and His Shadow. 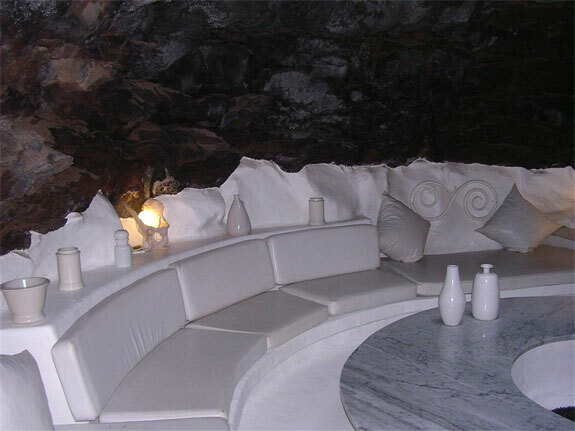 And feels like stepping into an underground 70s lounge or into an artistic version of The Hatch in Lost. 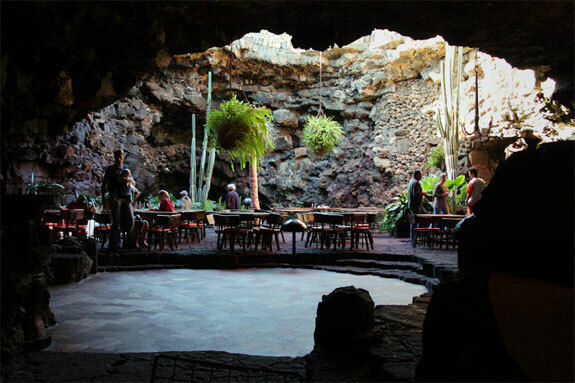 After his death in 1992, Manrique’s house became the headquarters for a foundation that opened the former artist’s abode to the public. Tours are available daily from 10am to 7pm. 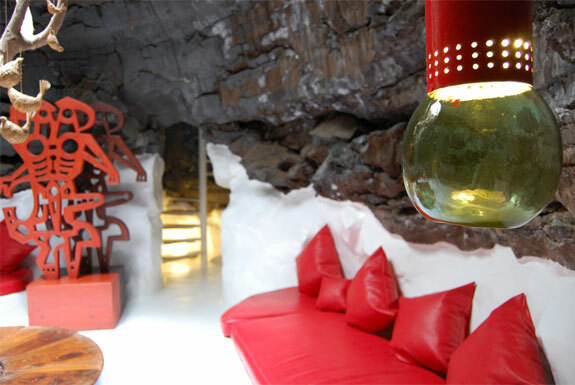 Manrique’s home is not the only cool attraction on Lanzarote. 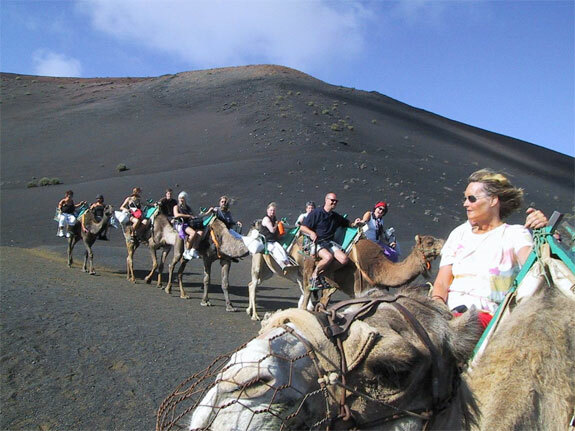 At Timanfaya National Park you can tour spectacular volcanic landscraps by camel. 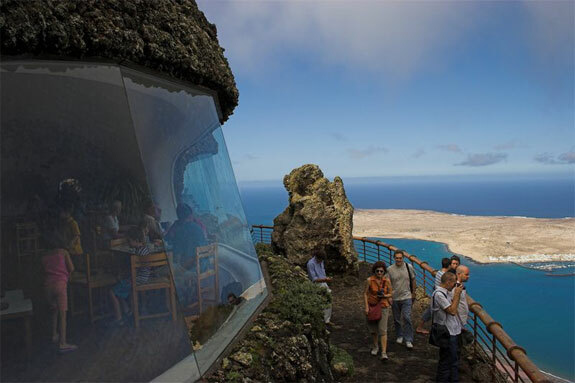 Mirador del Rio is a café built into the rock above the island’s northern coast. 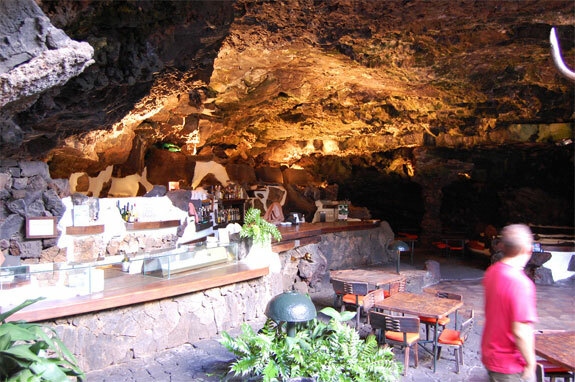 And Jameos del Agua is a cave complex containing a theater, swimming pool and nightclub that César Manrique himself declared to be the world’s most beautiful. For all the details check out the Lanzarote Guidebook’s site. 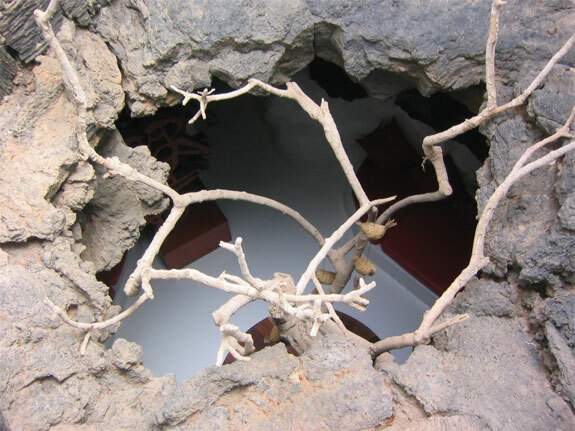 Thanks to Nick Ball, of Lazarote Guidebook, for guest writing this post.